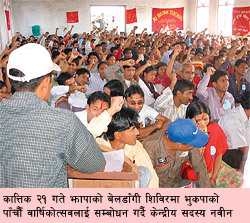 Jhapa, Nov. 15: The Bhutanese refugees in Jhapa district who have been deprived of identity cards and the government relief packages have staged a fast-unto-death from Tuesday, demanding identity cards. Some 15 Bhutanese women refugees have joined in the hunger strike. While in Nepal, I heard a lot of discussion about the situation of Bhutanese refugees who had been resettled in the US. People were outraged at the fact that the US would only accept these refugees on the condition that they repay their airfare and other costs. In an economy where real unemployment is more than 20% in some places, it is not clear how this resettlement plan is different from a state of indentured servitude. It is a grotesque example of the way the US immerses the world’s people in debt and subjugation–even within its borders. 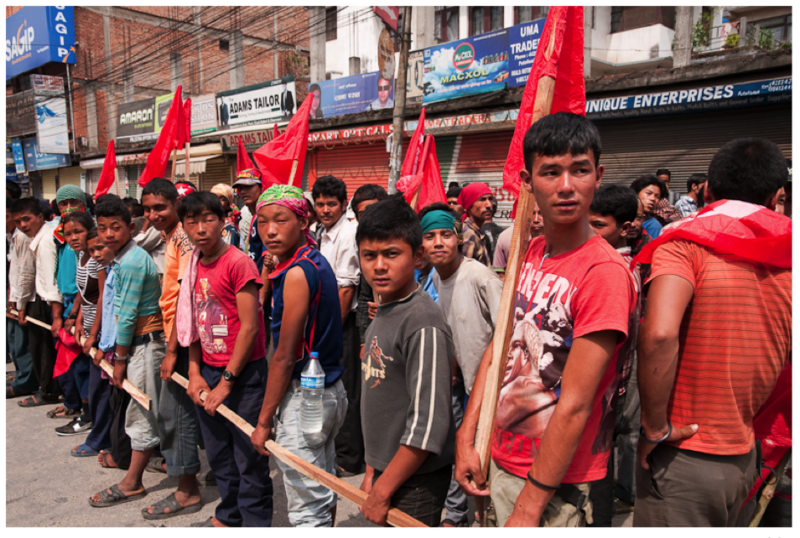 Revolution in South Asia also reported in 2008 that two Maoist groups did emerge within the refugee camps. 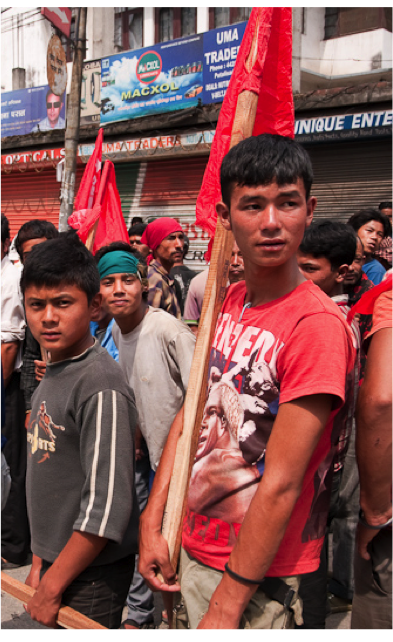 Whether or not there is a direct connection between the resettlement scheme and the potential for strong communist organizations in Bhutan, it seems impossible to believe that the US is involved in this situation for altruistic reasons. The following piece from Lancaster Online gives a brief introduction to the refugees’ plight. Why are there refugees from Bhutan?